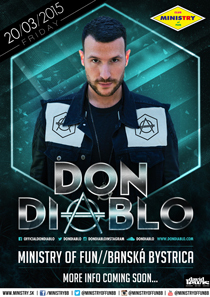 The biggest and most modern club in Slovakia MINISTRY of FUN Banská Bystrica proudly presents - DON DIABLO! Don't miss an amazing musical and visual show with DJ MAG #30 - DON DIABLO! 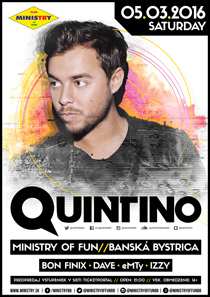 The biggest and most modern club in Slovakia MINISTRY of FUN Banská Bystrica proudly presents - QUINTINO! Don't miss an amazing musical and visual show with DJ MAG #80 - QUINTINO! 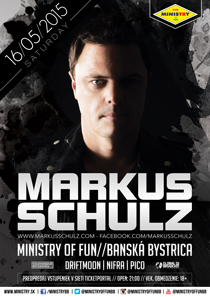 The biggest and most modern club in Slovakia MINISTRY of FUN Banská Bystrica proudly presents - MARKUS SCHULZ! 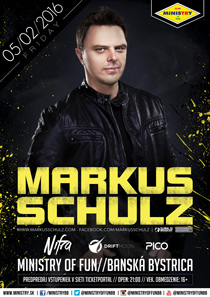 Don't miss an amazing musical and visual show with nr.1 American DJ - MARKUS SCHULZ! 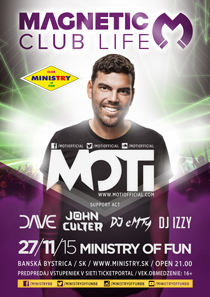 » MOTi @ MAGNETIC Club Life | 27.11.2015 - MINISTRY of FUN! The biggest and most modern club in Slovakia MINISTRY of FUN Banská Bystrica proudly presents - MAGNETIC Club Life with MOTi! Don't miss an amazing musical and visual show with top DJ/producer MOTi! 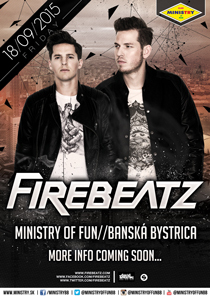 The biggest and most modern club in Slovakia MINISTRY of FUN Banská Bystrica proudly presents - FIREBEATZ! Don't miss an amazing musical and visual show with DJ MAG #56 - FIREBEATZ! » DON DIABLO | 20.3.2015 @ MINISTRY of FUN! Don't miss an amazing musical and visual show with DJ MAG#82 - DON DIABLO! 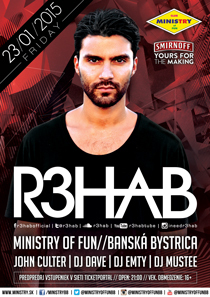 The biggest and most modern club in Slovakia MINISTRY of FUN Banská Bystrica proudly presents - R3HAB! Don't miss an amazing musical and visual show with DJ MAG#23 - R3HAB! » Check out the special YEARMIXES 2014 by our resident DJs! 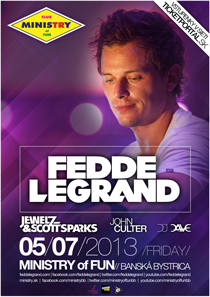 The Biggest and most modern club in Slovakia MINISTRY of FUN Banska Bystrica present you for the second time world famous DJ and Producer - FEDDE LE GRAND! Fedde le Grand is a very good know name all over the world. He's acting in the EDM scene for many years, but he became famous with the tracks PUT YOUR HANDS UP 4 DETROIT and LET ME THINK ABOUT IT. Last year he was very successful with his tracks METRUM or SO MUCH LOVE! After 1 year you can enjoy Fedde le Grand and an incredible show in MINISTRY of FUN Banska Bystrica!